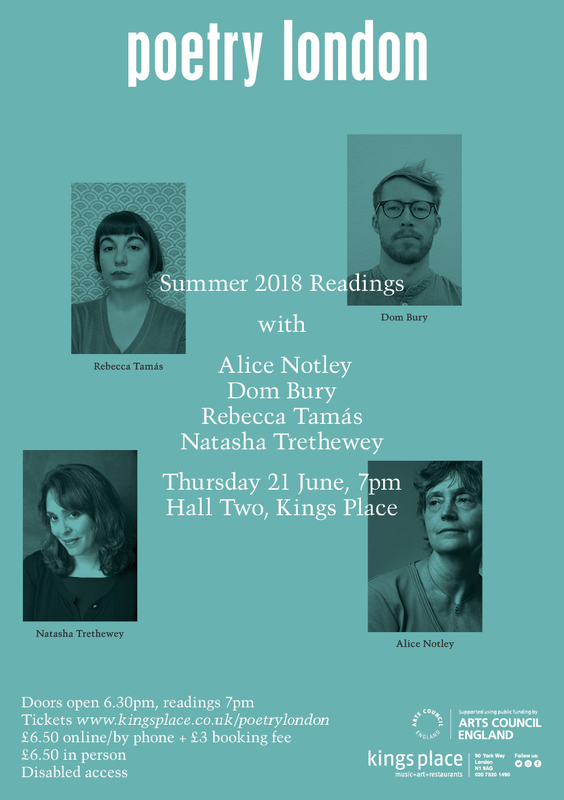 Thank you to all who joined us to celebrate the publication of the 2018 summer issue of Poetry London, with one of America’s greatest living poets, Alice Notley, in a rare UK appearance, plus National Poetry Prizewinner Dom Bury, ‘Occult poetic entity’ Rebecca Tamás and Natasha Trethewey, who has been United States Poet Laureate not once but twice. Booking has now closed. Look out for the Autumn 2018 readings on Facebook and Twitter.